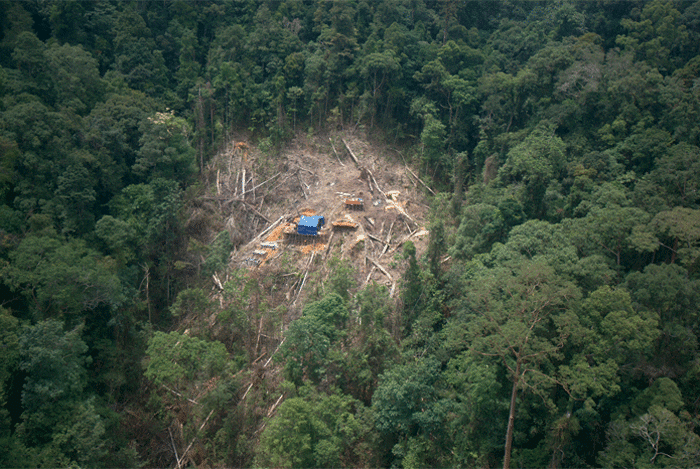 The effects of mining, including oil and gas production, on ape habitat and populations has been little studied until now, but there is cause for concern. A recent survey related to 27 ape species revealed that mining projects were planned or underway within the ranges of all but five of them. While even a large mine directly impacts only a limited surface area, exploration, extraction, and transport of minerals and hydrocarbons have widespread indirect effects. These include human incursions; habitat fragmentation by roads, rail, and pipelines; bushmeat hunting by labor crews, settlers, and commercial hunters; and pollution of air and water by dust and chemicals. Various strategies have been proposed to mitigate the impact of mining. Most countries require concession holders to prepare independent Environmental and Social Impact Assessments (ESIAs), which include detailed examinations of the direct and indirect effects on the human and wildlife populations. But ESIAs are often perfunctory or inadequate, relying on short-term baseline data. Increasingly governments and outside lenders are requiring Strategic Environmental Assessments (SEAs), which consider all industrial and commercial activity across a region. Concession holders should be required to monitor their impact on biodiversity for the life of a project and beyond. In practical terms, SEAs feed into more advanced spatial planning tools and the “mitigation hierarchy.” This process gives top priority to preventing, avoiding, and minimizing negative impacts; to habitat reparation and restoration when the project is complete; and finally to offsetting unavoidable impacts by setting aside and/or supporting comparable habitat for protection.